Personal & Business Tax Agents Noosa. Stratogen Accounting. PERSONAL AND BUSINESS TAX STRATEGIES FROM OUR NOOSA TAX AGENTS. The end of financial year is fast approaching therefore it is now time to not only look at what has been achieved throughout the year, but also see whether any fine-tuning can (or should) be made before 30 June. If cash flow permits, you may consider prepaying deductible interest or bringing forward deductible expenses. By doing this, you may find that you are able to reduce your taxable income. Donations to charities which are classified as ‘deductible gift recipient’ organisations. Work-related expenses, such as car expenses, travel expenses, clothing, self-education expenses, home office expenses, telephone, computer, internet expenses, tools and equipment expenses. If you buy an asset and it costs less than $20,000, you can immediately deduct the business portion in your tax return. The $20,000 threshold applies through to 30 June 2018 and the recent Federal Budget has proposed an extension of this concession to 30 June 2019 (however this has yet to receive Royal Assent). For those businesses that hold trading stock (retail businesses) you will need to undertake a stocktake on 30 June 2018 (or as close to that date as possible). Additionally, as part of this process you should review your stock for any obsolete items and remove them from your stocktake. Despite the recent changes, superannuation remains a tax effective investment structure. As such, there are a few end of financial year planning tips worth noting. Consider the ability to make further concessional contributions. While salary sacrifice is one way to make concessional contributions, the removal of the ‘10% test’ means that more employees will be eligible to make personal deductible contributions, which may be something worth considering before the end of the financial year. These contributions will help not only reduce your personal income tax, but also accumulate wealth for retirement in the concessionally taxed superannuation environment. The concessional contributions threshold is now $25,000 per annum. Careful assessment needs to be made to quantify all contributions you, your employer/s and others make on your behalf and the date that they were (or, are expected to be) received by your superannuation fund. Doing this will ensure avoidance of a potential excess concessional contribution tax liability. Consider the ability to make further non-concessional contributions to your superannuation fund before the end of the financial year. Whilst these contributions will not reduce your taxable income, there could be other reasons why such a strategy is advantageous. In addition, if your spouse will have assessable income below $40,000, consider making non-concessional contributions to their superannuation fund. The Spouse Contributions Tax Offset is now more accessible since the income threshold increased on 1 July 2017. End of financial year is also your last chance to transfer (or ‘split’) 85% of your previous financial year’s concessional contributions to your spouse’s superannuation (provided they have not yet met a retirement condition of release). Additionally it is now important to understand the implications of your total superannuation balance (TSB). Your TSB determines your eligibility to several concessions/measures, including the making of non-concessional contributions, ability to utilise the bring-forward rule for non-concessional contributions, and eligibility for the Government Co-Contribution and the Spouse Contributions Tax Offset. A trust resolution determines which beneficiaries will receive distributions and what portion of trust income they will receive for that financial year. Trust distribution resolutions must be made prior to 30 June. If they are not made by this date, the income of the trust will be subject to the highest marginal rate of tax (which could be significantly higher than the rate which would otherwise apply). In addition, the trust deed should be reviewed to consider how trust income is to be determined and to which beneficiaries income can be distributed for the most tax effective outcome. We will be sending each family trust their trust distribution resolutions in mid-June 2018 for consideration and review. Need tax advice? If you would like to discuss any of these strategies, please contact your Stratogen Accountant on 07 5474 0711. 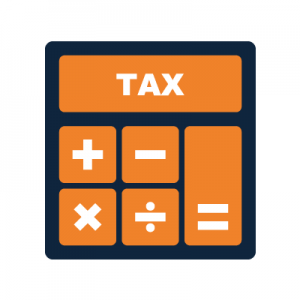 Stratogen Accounting consists of a team of expert accountants and highly qualified financial advisors who assist with all aspects of our personal and business client’s taxation requirements. Our accounting head office is located at Noosa on the QLD Sunshine Coast. Our expertise is unparalleled and thus we work with clients living interstate around Australia and internationally.